This fatigued man is well into his seventh decade. He was a boss of this or that kind more than half of his life. For a quarter-century he was under the rule of the despised others in Soviet times, and he has been Boss No. 1 in an independent country for almost the same number of years. At this time, only God is above him, as the saying goes. He has been leading his country to nowhere, and he continues doing so to date. The country is in deep poverty, and the subjects feel hatred, not love, toward their ruler for a very long time even though newspapers continue daily to boast about grandiose economic achievements and sincerest love “the happiest nation on Earth” experiences toward their president. No friends—only wolves and jackals surround this ruler, dressed into dress suits of nomenclature workers who are burdened only by thoughts of what is to come when he passes away. His own family is full of sin, envy, animosity and discord. His children are prepared to jump on each other’s throats at any time. They only need father as a shield to hide behind from enemies or a tool to suddenly and irrepealably attack. He believes the lies his wife and children constantly tell him. He is more comfortable that way. He believes the lies of government-prepared statistics. He believes the reports his ministers and TV channels spew—after all, the reports not only reflect his expectations but are tailored to please him personally. He believes forced smiles on the faces of farmers are sincere, seeing their images applauding him on posters. He has no doubt in the truthfulness of lies that he speaks himself on high pulpits. But he is immensely tired of his own lies, imagined—not real—world around, in which he exists and can no longer escape from. 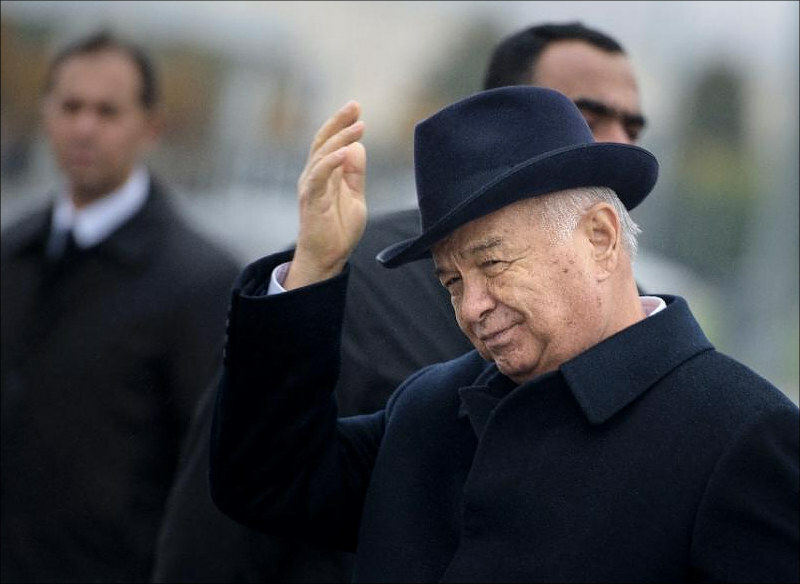 He lonely roams the streets in Tashkent, which have been emptied ahead of his visits—the city that once was green and cool, now deprived of trees and shadows. He encounters no single pedestrian or pedestrian in the ceremony of opening a new public square or motorway. He is torn apart by various diseases and illnesses. Most expensive doctors of the world examine his body and helping to delay the time of departure—as if even worse fate is awaiting him THERE. Every year he pulls a fake smile across his face and dances during the Nawrooz holiday of spring even though his ailing heart must be contemplating the quickly approaching agony, desperation and death—the “autumn” of his life. This fatigued man is well into his seventh decade and the time of his “departure” is drawing ever closer. But the painters in his court continue doctoring his images and portraits. One cannot but think of him as a 50-year-old mausoleum exhibition, which has been mummified while still alive.